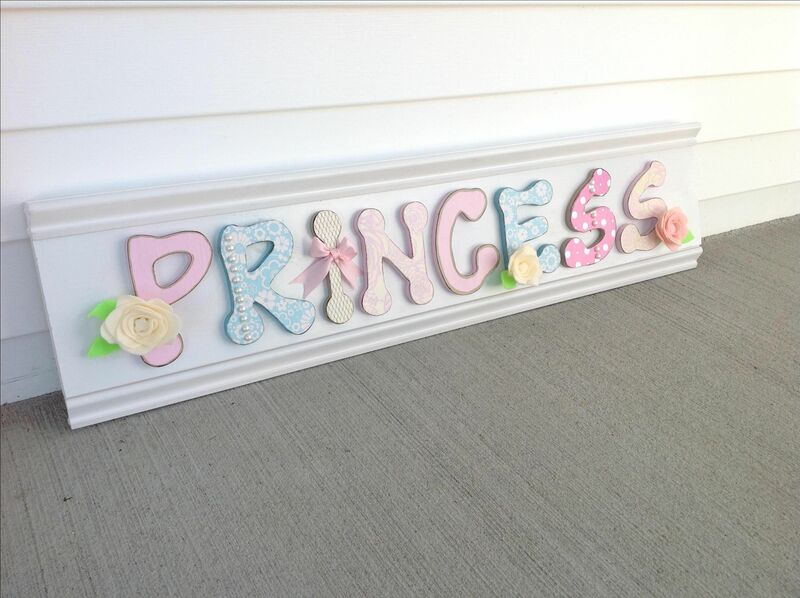 This sign is a finished product that can be replicated in the name of your choice. Its Visually stunning with contrasting details, vivid color and feminine details. 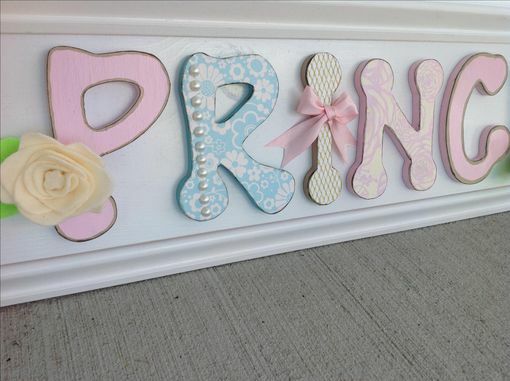 Each wooden letter has been hand painted, and features specialty paper, ribbons and bows, pearls and flowers. 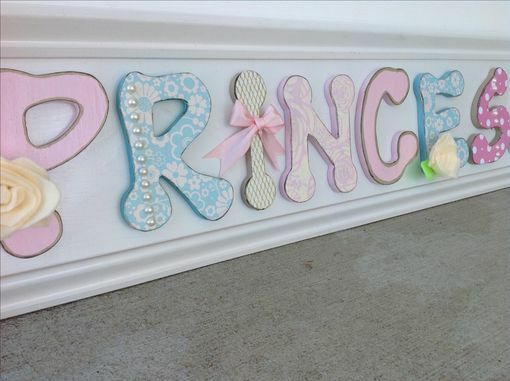 The backing is wood and bordered with a decorative trim. 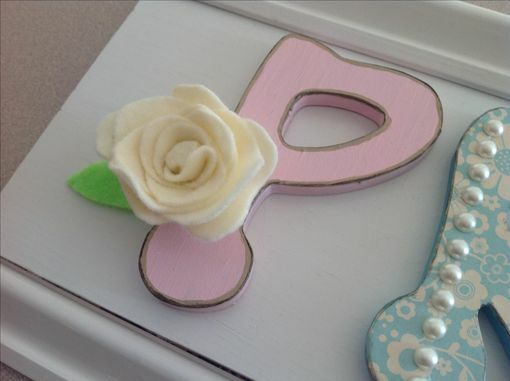 A perfect gift for a birthday, Christmas, baby shower, baptism, confirmation or a I Love You! 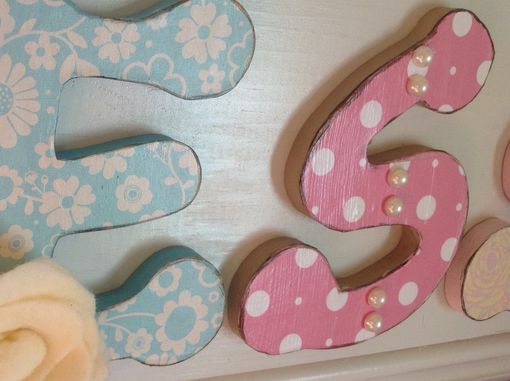 Would look really nice in a nursery, girls bedroom, above a bed or in a playroom! 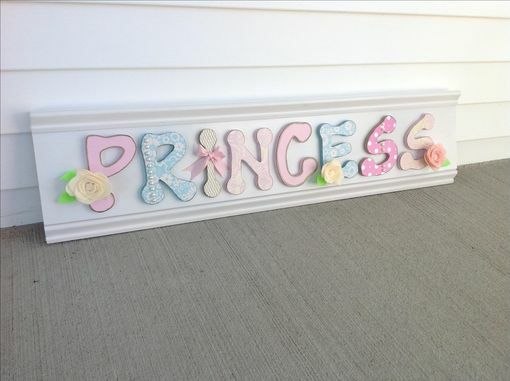 The size of the sign picture is approximately 36"l x 6"w and has nine letters. I can customize to your desired size however there is an additional cost for additional letters and additional length and size of sign.